OBS Crius II tank: All new designed deck for single coil, the black piece was made from high tech Zirconia, which is the top high-temperature resistant meterials world-wide, corrosion-resistant, anti-oxidant, high hardness, no-volatile, no polution, the deck comes with a solid & simple to offering super easy&quick building experience, enjoy the big cloud and nice flavor. Airflow circulation design brings you nice taste, huge vapor will blow your mind anytime: Airflow hit the coil from both side and bottom to make sure you get the best vapor experience and huge vapor production. 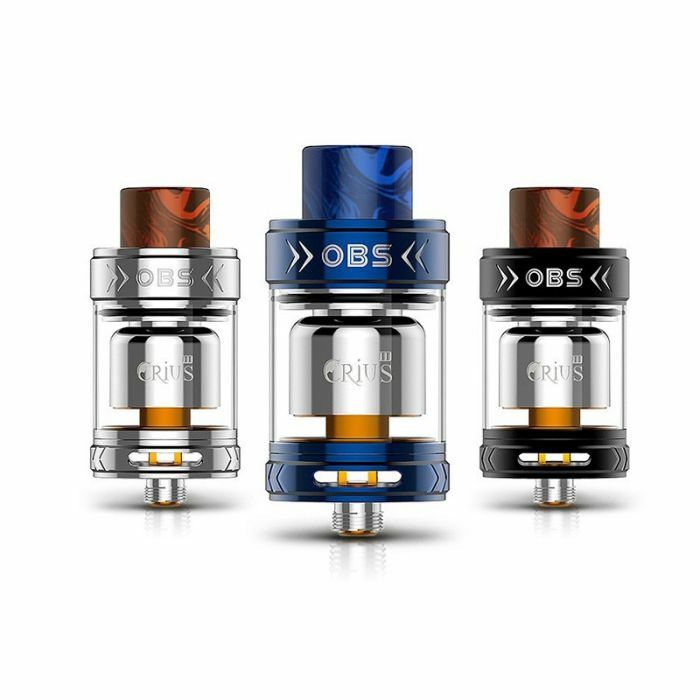 OBS Style Filling Way: Push up the top cap and fill the tank, no any leaking issues, 3.5ml full capacity desion offering you constant vaping experience. Bottom Airflow, Airflow is adjustable: Airflow can be adjustable according to people with different lung capactiy. Newbies is easy to go. When technology meet fashion, Enjoy high wattage huge clouds everytime: 15mm wide bore drip tip is more compatible when using at high wattage, drip tip made fromresin material, more environment friendly, easy clean and also durable. Precise design of air circulation system: Change the airflow hole from top to side, the air hit the wire closer. 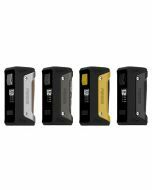 Precise design of air circulation system conduce to concentrate the smok and show the eliquid flavor. Consumer first, Genuine security: To protect sonsumer's profit. All of OBS products have anti-counterfei labels. You can find the laser sign on the bottom of the base. Just feel fre to buy. Side Filling: Simply lift up the side cap and fill you tank. Adjustable airflow ring: Adjstable airflow based on different lung capacity.